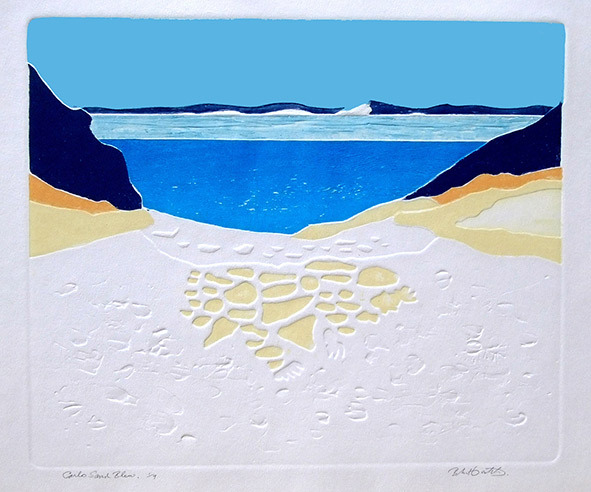 One of the pioneer printmakers in Queensland, Brian Hatch’s survey exhibition of limited edition prints reveals the wide variety of print techniques available to the artist. An art form in its own right, printmaking reflects the individuality and virtuosity of the printmaker, with each print in an edition having slight variations – each an original work of art. Image: Brian Hatch, Carlo Sand Blow (detail) 2012, collagraph on paper. Courtesy of the artist.